I won’t lie I have never had lamb, but my entire family has. They all told me that they didn’t like it or weren’t going to try it. I got this recipe from the owner himself, and we tried it this last Sunday for family dinner. Everyone loved it! Even those who claimed they didn’t like it. Typically you plan for a quarter pound of meat per person and we got a 5 pound roast and it was all gone, pretty sure everyone ate a half pound! Don’t judge, it was just that good! Morgan Valley Lamb is a local company right here in Utah County. The lambs are all natural and growth hormone free. 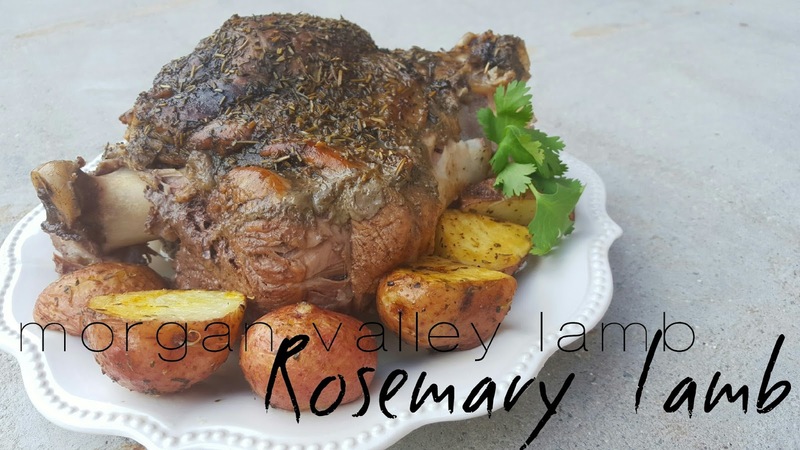 You can go to their website at morganvalleylamb.com! You can go to their website and find out where to buy their products, you can also order lamb directly on their site. They sell mainly in farmer markets around Utah! 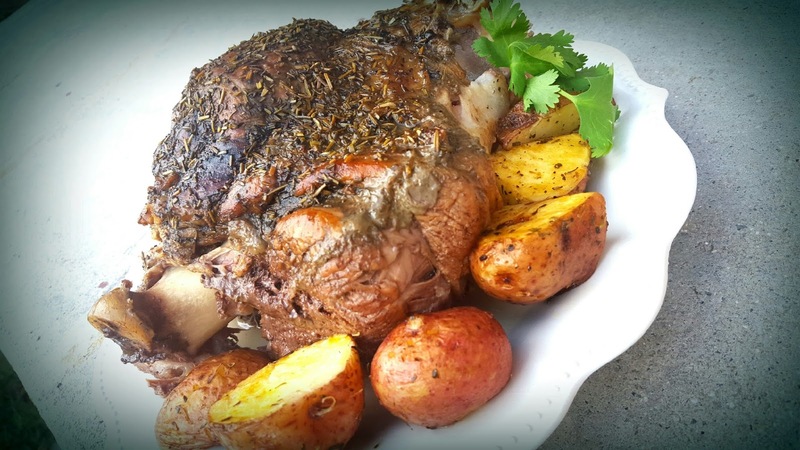 Best lamb you will ever eat! Here is the delicious recipe below!! 1. Brown the outside of the lamb. 2. Rub the lamb with salt, pepper and Rosemary. Dump water in! 3. Place in the crockpot for 6 to 8 hours. This looks AMAZING! The ultimate comfort meal. I bet the house smells like "home" when this beauty is cooking! This looks absolutely delish! A great fall/winter meal that will warm you from the inside out. I bet after cooking in the crockpot for 6-8 hours it's tender and really flavorful! Thanks for the recipe, I'll have to look for Morgan Valley lamb! Pinned, I'm sure others would love this too! Amazing! Thanks for linking up with What's Cookin' Wednesday! I can't believe that's a crock pot meal…and with so few ingredients! I'm definitely pinning this…Thanks for sharing on the Welcome Home Wednesday Link party! We really hope to see you again tomorrow at 7 CST!